From trends like low-impact to high-intensity training, consumers today are seeking a variety of different fitness options that range from strength training and cycling to meditation and yoga. In the last few years, the era of personalization has enabled studios to identify specific consumer niches and serve them in new enhanced formats. Higher profitability and niches also enable boutiques to create a far superior consumer experiences. 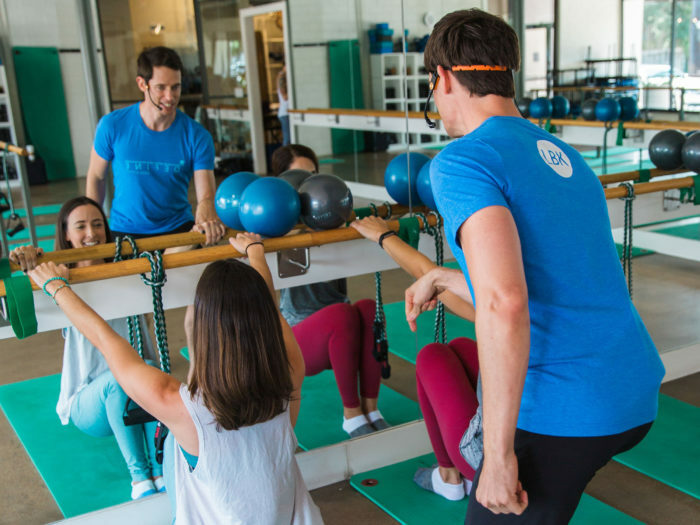 We’ve seen companies like SoulCycle, Pure Barre, & Yoga Fit find success in operations based on the singular niche, However, what makes DEFINE so appealing is that we have created a unique business model accompanied with our proprietary instructor training that offers clients a combination of barre, cycling, yoga, trampoline, hammock, and so much more… All Under One Roof! Many boutique fitness franchises aim to offer a consumer experience that may include one or two fitness methods combined with competitive technological gadgets and displays, however at DEFINE, our studios take a more holistic and innovative approach that includes the application of a variety of fitness methods within a very welcoming ambiance to give customers a much more distinctive, almost bespoke experience. Arguably though, it is the communities that these boutique studios create that are the greatest appeal to fitness consumers today. 21st century living encourages a move away from individualism toward a search for more social bonds, and communities. Consumers are seeking community-based fitness concepts that provide an outstanding fitness experience in a convenient and effective way. This is the true story behind DEFINE’s recent success and expansion. Each DEFINE studio creates an eco-friendly atmosphere that inspires results, fosters community, and gives back to others. Our goal is to help clients achieve sustainable health and happiness while having fun in a group environment. The on-going rapid expansion of these concepts, their business models, and the related attraction of interest from clients all underscore the sustainability and relevance of the boutique studio trend. This reinvention of fitness delivery not only creates tremendous opportunities for clients, it can do so for the franchisee as well. DEFINE takes this trend to the next level and offers classes, products, and programs that work synergistically to deliver total wellness and educate clients on how to be their absolute best! DEFINE continues to evolve to meet the needs and desires of clients by expanding to offer clients classes that appeal to them and work within our business model. Consider that barre technique loses appeal in consumers’ minds, Pure “Barre” will be more affected as their business model is related directly to that fitness trend. Whereas DEFINE can evolve and ensure we are meeting the demands of clients focused on results based on strength, length, and balance. Combining our innovative approach to traditional fitness classes, community, and education; DEFINE will continue to grow and expand while we ensure our clients and our franchisees become their absolute best! Learn more about what sets DEFINE apart from our competition by signing up for franchise information HERE!